The Leopard is a True Ambler? The shy and reclusive Cape leopard of the Cape Mountain Fold Belt. The local mountain range, the Cederberg, is the Western edge of their range. The Eastern edge is the Outeniqua Mountains, described here and here. Although the Cape leopard is the same species as leopards in other parts of sub-Saharan Africa, regional diversity means that they are much smaller than the leopards of say, the KrugerPark or Etosha Pan. On average, the Cape leopard is about 30% smaller than a normal savannah specimen. This is partly because their prey species are smaller and partly because of the need for agility and stamina. They cover long distances in the difficult terrain where they hunt. All the studies currently underway have proven one certainty. These are hard animals to catch out and about in their natural habitat. There is a genetic diversity study in progress and Cape leopards are collared and tracked. 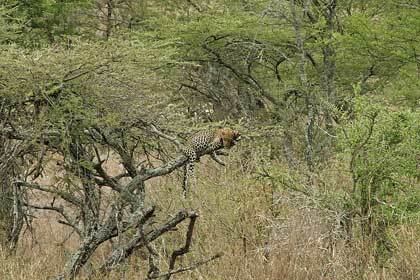 But to get a picture of a Cape leopard in the wild if you don’t have a trip camera is about impossible. Makes you wonder if a branch has ever broken? The Cape Fold Mountain Belt, according to Wikipedia, is “the folded sedimentary sequence of rocks in the south-western corner of South Africa”. These mountains stretch across the Cape Province; from Cape Town in the west and the Cederberg Mountains in the northwest to Port Elizabeth in the east. You may have guessed that we live at the edge of this mountain system, otherwise known as Cape leopard territory. Occasionally there will be a headline in the local paper, reporting a leopard sighting near some little town, causing a small frisson of excitement. But there is a growing awareness of the importance of biodiversity thanks to the work of the Cape Leopard Trust. Steps involving education and research are underway to protect and preserve these elusive animals and sightings are welcomed. Actually, most leopards are known to be shy, reclusive, and sneaky as well. The African leopard (Panthera pardus pardus) is listed as a “Near Threatened” species on the IUCN Red List because of its dwindling numbers and vanishing territory. Leopards were all over Africa, as well as in parts of Asia, but the African leopard (as a subspecies) occurred mainly in sub-Saharan Africa. Today, despite their ability to adapt to compromised natural habitat and increased human pressure, leopards are becoming progressively scarce outside of sheltered areas. 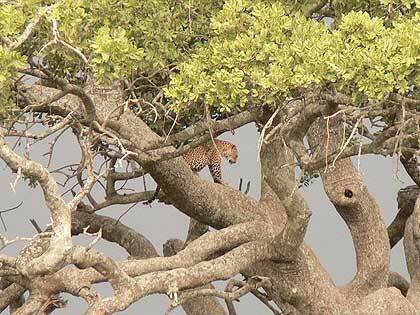 The leopards’ success in the wild is helped by its resourceful hunting performance and adaptability. Speeds up to 58 km (36 mph) and an outstanding proficiency for climbing trees, even when carrying a heavy kill, give the leopard an edge. Couple this with the typical cat-like talent for sneakiness and a leopard can hunt down and catch most animals it targets. Years ago, in a different place, this talent for stealth was displayed by one large ingenious leopard that kept coming into the camp in Timbavati. Once it even went into M’s bathroom and removed the bathmat. The poor, shredded, grass mat was discovered lying about a kilometer outside the fence, on an anthill, but the leopard was never seen. The only evidence that the culprit was a leopard, were his pug marks left in the soft sand. This camp tour happened many times, although the bathmat was the only known victim. For more about the on-going conservation and research, see this link to the Cape Leopard Trust. 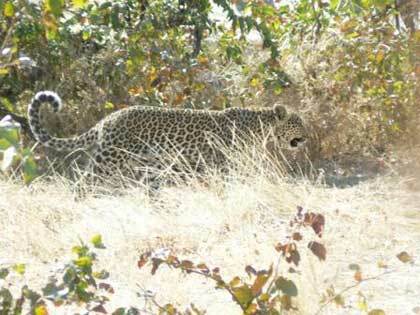 They also have good photos of the Leopards.